Here is a new thread especially to discuss the John Williams Discography. Created on Wikipedia by myself in 2012, it's the most complete JW discography that can be actually found. It includes all the works performed by John Williams, as a performer and a conductor. It also features a section dedicated to his discography as a composer, which features many compositions which he himself did not record. Please help me to keep it up to date! 3 CD-set, includes previously unreleased material. Some tracks conducted by John Williams/Boston Pops, Philips, Compilation. The fact is that Bespin likes to see JW as someone like Michael Jackson or The Beatles, i.e. recording artists releasing albums as their primary job, hence the obsession with "discography". I was just rechecking your wiki page, and Maurizio's comment is not only relevant, but he's completely right. As resourceful as the page may be, it's a very weird and inappropriate way of organizing a film composer's discography, and misguiding and confusing as a Wikipedia article. I really appreciate the work you're putting in it, but I think the concept should change in order for the page to be taken seriously. And please don't take offense. It's John Williams we are talking about, not Bespin, Ricard or Maurizio. First, It's not the first discography I did. I must admit Wiki discographies, by convention, have their own way of organizing the releases, but it makes sense to show the original album in a single list, the compilations, and the collaborations in others. This way, we can have the real count of the "original solo studio albums" of an artist. If I speak about my Charles Aznavour discography, Universal/Barclay took my number as a reference for the new album that Aznavour just released. It's his 51th french studio album. It's my number, according to my wiki discography. And because I'm proudly a worldwide reference, my name (Émanuel Champagne) is also credited in the "60 CD Anthology" of Aznavour that was released last year. As well, my personal webpage is mentioned in many Aznavour biographies. If one day, I make a web JW Discography, I will show all the albums where he performs or conducts (original, compilations) in a single chronological list. The Singles will be in another page. But let's come back to John Williams. The particularity of his discography, is that he's also a composer, like J.S. Bach, Mozart or Beethoven. But no, that's not quite exact.. Let's take instead the example of Prokofiev. A classical composer, that also recorded albums. Because actually, John Williams is not only a composer. That you like it or not, he's also a performer (pianist, organist) and a successfull conductor. We can't ignore this fact. So in this case, to be representative of this reality, we must add, in adition to the usual discography "as a performer", a section called "Discography as a Composer". Because many things JW has composed, he did not recorded them himself. So what this wiki discography teach us? Well, it teach us that John Williams recorded 134 orignal solo studio albums. Who before me was able to count that? It's an interesting number to have, don't you think? It's impressive, don't you think? Coming back to the "Discography as a composer" section, please understand that It will NEVER be possible (and anyway it's totally irrelevant), to list EACH single albums where somebody decided to record a John Williams work. It's like trying to do a list of all Beethoven CDs. Like JW, that's impossible, the list will never we finished. In 200 years from here, people will still record his works. So I think that in this list, the "Concerts Works" are most important thing (because JW did not record some of them personally). After that, we can list the most "relevant" or "important" hommage albums. Because, yes, there are some recordings that are more important than others. You know, it takes a lot of time to make such a disco and I need help from collectors like you, to make sure that nothing is missing. So thanks helping me to make this discography a true reference. NOTE: I've just added some notes saying "Composed and Conducted by John Williams", because I was assuming this by default. Well, the count of original solo studio albums may turn to 135. I read that Heartbeeps came out in CD at the end of the 80's, only available from a club. Does somebody have the exact reference? I admire your persistence, Bespin, but I'm afraid I have to echo what Ricard said -- I will never use your Wiki page as a John Williams resource. Your way of organizing is simply too weird for me (it may make perfect sense to you, but not to me). I hope you don't take offense by that; we all organize differently. For me, the perfect discography was what Jeff Eldridge did back when his site was up and running. I miss that. While I acquired a b**t of the score on cassette in 1995/96, I have never heard of a CD being released (legit or otherwise) in the 80s. Where was it that you read this? On filmtracks, but I read it again, think I just didn't understand correctly (English is not my first language). Okay, I moved the entry to the "Albums" section. Previously unreleased score (1981); Composed and Conducted by John Williams; Reissued in 2001, Varese Sarabande CD Club. Heartbeeps was NEVER released ANYWHERE legally before the Vare Club CD in 2001. What you read about is an illegal bootleg. And I have to agree with RIcard and Thor, Bespin, I'm sorry. Your method of organizing JW's discography is just wrong. You can't treat a film composers discography the same way you would a pop or rock artist, it just doesn't work. I actually like having it all in one big list, but I think you need to update to include reissues. There's nothing wrong with having all the films he's scored in one big list; The problem with what Bespin's done is if Williams didn't happen to conduct the recording sessions, he has it listed separately, so stuff like None But The Brave and Harry Potter 2 aren't listed with the rest. Then, if a score didn't happen to have a OST release at the time of the film, he has it listed by when the specialty label happened to release it for the first time, so stuff like Black Sunday or Family Plot or Heartbeeps are listed way out of order from when Williams actually recorded them. (...) are listed way out of order from when Williams actually recorded them. A discography is listed by date of release. I'm getting very tired of this, mercy. It's not a Works list. You're free to organize whichever way you want, but when you put something like this out on the net for all to see (and also try to sell it as the ultimate JW discography), you must also expect people to give their opinions on it. Piano: John T. Williams; Reissued in 2005, Fresh Sound Records. Jazz Workshop Under The Direction Of Al Cohn; Piano: Johnny Williams; Reissued in 2010, Fresh Sound Records. Piano: John T. Williams; Mercury; Reissued in 2010, Fresh Sounds Records. Piano: John T. Williams; Conducted and Arranged by John T. Williams; Columbia; Reissued in 2011 "Meet Mr. Roberts/Bottoms Up", Fresh Sound Records. Piano & Organ: Johnny Williams; P.R.I. ; Reissued in 2011 "Remembers John Kirby/The Big Small Bands", Fresh Sounds Records. Piano: John T. Williams; Reissued in 2007 in the compilation "Exploring New Sounds", Fresh Sound Records. Piano: Johnny Williams; RCA Victor; Reissued in 1998, RCA. Thanks, having all in a big list allows search by keywords or release year. I try to note each reissues, if some are missing please tell me, thanks! It is very much a discography. Just not the type of discography that you prefer. Hable's site is good for overview, although it misses several titles. But in general, it's closer to the organization that I prefer. Piano: John Williams; RCA Victor; Reissued in 1999, RCA. Piano: John T. Williams (uncredited); RCA VIctor; Reissued in 1992, RCA; Reissued in 2014 "Calypso/Belafonte Sings The Caribbean", Jackpot Records. This was recorded while Williams was studying in New York. However, the session with Williams seems to have taken place in LA, so it would have to be during a holiday or something -- or perhaps a visit to his 'belle' Barbara. From what we can gather, it's one of his first professional recordings. Piano: John Williams; ABC-Paramount; Reissued in 2011, Fresh Sound Records. That's not by "our" John Williams, but rather John Thomas Williams. By the way, what's the source for the "General Eletric" and "Great Race" entries? The source is a french blog, called Maestro John Wiliams, not very reliable. The Jimmy Raney should in fact be removed. The other ones, I just lack any real confirmation. As for the Al Cohn entry, I should say that it is unlikely that this is our Williams as well, taking in acount the recording location and the other musician involved -- usual colaborators of John Thomas Williams, who with one exception, recorded always in the New York area. That's so hard, the info is actually at 1,000 and one place, it's a pretty hard job! I need expert like you to do this, many thanks! Bespin, we get your points. 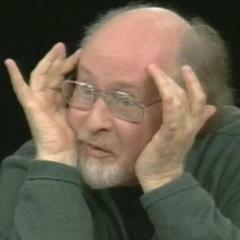 But many of us here have been collecting John Williams albums and studying his discographies for the last 30-40 years. We know how a John Williams discography should be done. And yours is simply the wrong way to organize it. So wrong that I wouldn't even know where to begin. Williams is not Aznavour, and a soundtrack release is not an "original solo studio album". But we've already gone through that, and after reading your last reply I'm 100% sure that you're incapable of understanding this. It's really a shame that John Williams' discography on Wikipedia is so inconveniently organized. Too bad, because the content itself is great. 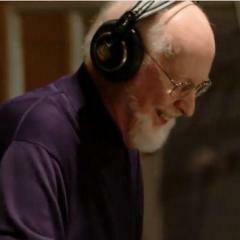 (...) many of us here have been collecting John Williams albums and studying his discographies for the last 30-40 years. That's great, now it's time to SHARE this information. That's their standard, that's not mine (except for the "Discography as a Composer" section I added). What section you don't understand? Let me explain it to you. We've been sharing it for years. Where do you think much of your information comes from? It actually has more to do with the use you make of that standard. Oh I do understand the structure, that's not the problem. When I have a moment I'll post an example of how I think a JW discography page on Wikipedia should be done. Ok, suggest your point of view. If it make sense, I will make updates. But, I say it clear, I will never mix the discography "as a composer" with the rest, making just one big single list. Each section say what it have to say. What I like actually about the Wiki Disco is that "it speaks" a lot. Each thing is a his place, depending on what you are looking for. The particularities are underlined and very apparent, you don't have to read 2 forums and 3 collector's site to understand them. Another thing, for a matter of clarity, the wiki disco actually focuses on original releases only. That's great if some website concentrate on the worldwide releases, because in a collector's point of view, that may be interesing. But I doubt that any website or collector can achieve collecting all the worldwide reissues/foreing reprints. So the goal of an "Original Discography", like the Wiki Disco actually is, is to get the original release of each album, whathever the country. Foreign issues are included if they are particular or contains unreleased material. It's why the Wiki disco can't replace a collector's list or website. But that's not the goal. Depending of the amount of releases, we could add sections like "In Japan only" or "In Germany only", but for the moment I think that's not relevant for JW. The Wiki disco is actually a compromise between clarity and relevance. It's understandable for the general public and it can help a fan to enhance his collection, depending on what he looks for. Actually, regardless of what I say, you're not going to change your mind about this subject, and I don't really have time for this. No one here agrees on how it's done, but it's your list, and I respect that. Case closed on my behalf. No one? Are you sure of what you're saying? Anyway, you argue, but when it's time to suggest concrete ideas, you withdraw. It is easy to criticize. We have suggested concrete ideas over the last few months, but you never paid attention to them, so there's no point in continuing the conversation. Yes, and you seem to know a lot about it. Is John Williams conducting on this compilation? That's a compilation Varese issued; The tracks on there from Presumed Innocent, Stanley & Iris, and The Cowboys are all from the original soundtrack recordings, since Varese issued those OSTs. For the rest, the conductor is listed right under the track title, don't you see it? I saw it, but I wanted a confirmation. Thanks Jay for your usual tact. BTW, it's pretty unusual to mix works conducted by John Williams himself with his works recorded by others conductors. That's in fact the first time I see this. The other tracks on there had all come out on various Varese CDs before it. Can you please list other compilations like this, containing a mix of John Williams conducting his music, and others conductors conducting his music too? I've your behavior towards Ricard and others to be rude and disrespectful. I decline to provide you with any info. Ok this thread was a bad idea. Not this thread. But your conduct. Many Boston Pops albums have beein reissued for digital download in 2014 by Decca, they've been added to the disco. I even found a remastered reissue of Memoirs of a Geisha in 2012. I wonder if the sound is really different? Last year, Jurassic Park, Amistad, Saving private Ryan, Minority Report and Catch me If You Can has been reissued by Geffen for digital download too. I know that it will interest less than half of you half, and that three or four of you will insist to reply that I'm wrong or bizarre, but I divided the "Collaborations and guest appearances" section. So there's now 91 entries in this section. The audio books and various artist compilations have been moved into "Other albums" (by the way the audio book section has to be upgraded). For a grand total of 226 albums. Two (very important) missing collabos where added, thanks to Miguel! Conducted by John Williams/The Tanglewood Big Band Ensemble, recorded live at Seiji Ozawa Hall, August 9, 2004; Digital Download, BSO Release. Conducted by John Williams/Boston Pops Esplanade Orchestra, recorded live at Koussevitzky Music Shed, August 30, 2009; Digital Download, BSO Release. Previously unreleased score (1965); Composed and Conducted by John Williams. Previously unreleased scores (1965/1972); Nighwatch's music Composed and Conducted by John Williams; Film Score Monthly. Williams also worked on WAGON TRAIN, CHRYSLER THEATRE, CONVOY and WHO GOES THERE? in 1965. THE KATHERINE REED STORY is also listed as a 1965 entry, but there are elements in the music that suggest it actually came out later (especially the BATMAN theme reference, which only came out in 1966). Presumably, he also worked on some of the stuff that would eventually be released in 1966 -- Williams' most prolific year of his career (so next year is a 50th anniversary for a lot of stuff). ...and September 15, 1965, aired the first episode of "Lost in Space". Previously unreleaseds score (1965-1968); GNP Crescendo. Ah yes, how could I forget LIS? (probably because it's listed as 1964 in my television listing, for some reason).